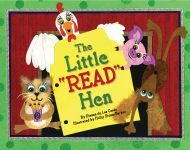 In this flavorful rendition of the classic Gingerbread Man tale, award-winning international storyteller and folksinger Dianne de Las Casas presents a clever story in true Cajun style. Accompanied by Marita Gentry’s fresh and fun illustrations, this engaging and beautifully narrated folktale will be an unforgettable and delicious delight to all. 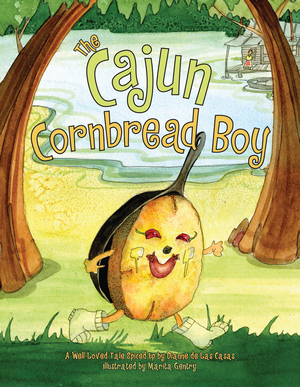 Complete with a glossary of Cajun terms and a cornbread recipe, this zesty story will make mouths water as it brings the flavors of the Cajun country to every home. Dianne de Las Casas is a celebrated author, storyteller, and recording artist. Her CDs Jump, Jiggle & Jam and World Fiesta have been named School Library Journal “Audio of the Week” recordings. She performs arts-in-education programs and residencies at schools, libraries, festivals, museums, and special events and is a frequent presenter at the International Reading Association, American Library Association, and other literary and education conferences. Marita Gentry is a professional artist with her own painting and teaching studio, Studio Marita. Gentry has served as artist-in-residence for several schools, and her illustrations are a delight to young and old alike. Her vivid illustrations have earned her numerous awards and commissions. This is her first children’s book. Click here for The Cajun Cornbread Boy educator's guide. Click here for an Excerpt.